Information about the structure and dynamics of proteins is crucial for understanding their physiological functions as well as for the development of strategies to modulate these activities. 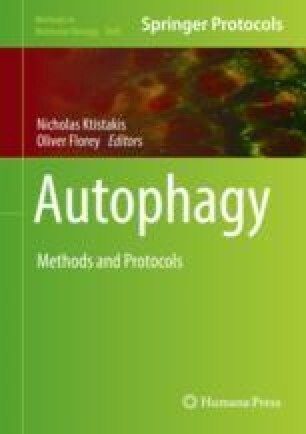 In this chapter we will describe the work packages required to determine the three-dimensional structures of proteins involved in autophagy by using X-ray crystallography or nuclear magnetic resonance (NMR) spectroscopy. Further we will provide instructions how to perform a molecular dynamics (MD) simulation using GABARAP as example protein. The authors acknowledge funding by the Deutsche Forschungsgemeinschaft (SFB1208 and SFB974) and the Jürgen Manchot Stiftung. In the following, the five .mdp files needed for the MD simulation using GROMACS, which is explained in Subheading 2.3, are provided.